Join a certified guide in the wild northwest of Finland and explore the gorgeous scenery of northern Europe on a guided eight-day ski touring program that features the undisturbed terrain of a classic Scandinavian enclave. Experience the mountain flora, fauna, and topography of northern Finland. 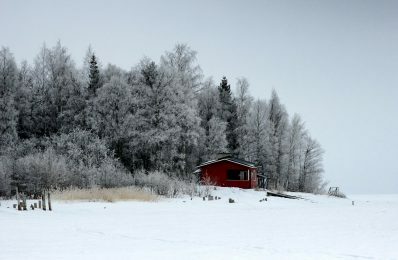 Immerse yourself in Sami culture by spending nights in local wilderness huts. Travel safe with a certified guide and experience Kasivarsi on a personal level. 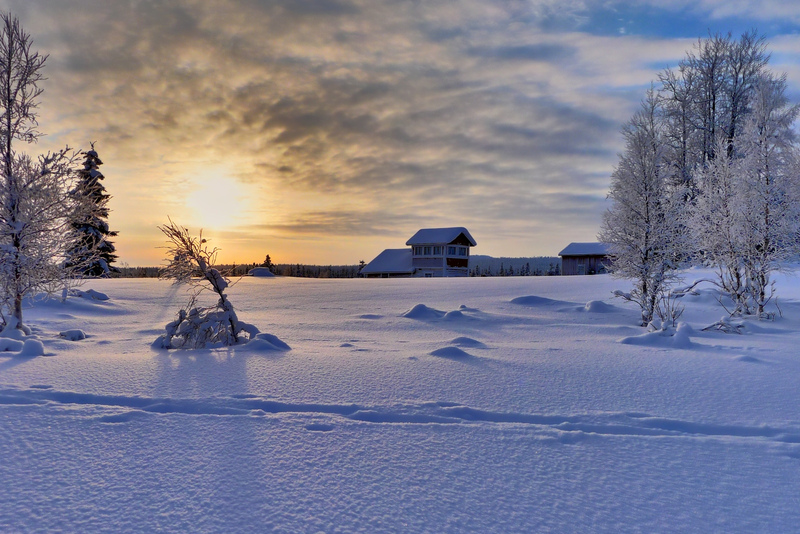 Peruse the beauty in the northern wilds of Finland on an eight-day ski touring program! Take a guided program in Halti and the surrounding Kasivarsi Wilderness Area and enjoy the rare opportunity to explore the snowy paradise of a historic northern European landscape! Set in the most mountainous terrain of Finland, the Kasivarsi Wilderness Area is located in the northwestern corner of the country. 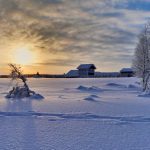 This expansive Lapland region is notorious for hilly skiing conditions in the remote countryside along the border with Norway and Sweden. In Kasivarsi, you can ascend Halti Fell, the highest point in the country, while taking in the abundant and unique flora and fauna, including Arctic char. The unforgiving landscape possess a captivating beauty that can be experienced with every sense on this amazing eight-day program. You will be ski touring through the unmatched backcountry of some of Finland’s most remarkable sites with an experienced certified guide to make sure you get the most from this trip. Our approach to the wilderness area is made easier with seamless transfers from Tromso and Kilpisjarvi. The Sami culture exuding from every point in our journey enhances the enriching local experience of the ski program. Each night we settle into wilderness huts to provide a truly immersive Finnish understanding. The peaceful nature of the Kasivarsi is sure to please any adventure looking to avoid the crowds and spend their days discovering untouched snow along varying routes and landscapes. This hilly region promises phenomenal skiing with delightfully cultured activities to supplement your program. This area is like my backyard, and I would be honored to show you a local experience in this pristine territory. My program is a safe, satisfying, and all-around fun way to live the Finnish lifestyle synonymous with Scandinavia. You will never forget this extraordinary adventure. You should be in great physical shape and possess strong skills as a skier. The backcountry in Lapland and the Kasivarsi Wilderness Area is desolate and challenging, which means you should also have the mental fortitude to complete this sustained expedition. Book this amazing Nordic ski touring program NOW and spend eight days in the pure snow paradise of Halti and the Kasivarsi Wilderness Area in Finland! We can cover other areas in northern Finland, included a hut-to-hut ski tour in Lemmenjoki National Park or a week-long program backcountry skiing in eastern Lapland! This is the price to join one of my group programs. The price includes the guiding fee, airport transfers, meals, group equipment, skis, bindings, poles, camping equipment, toilet paper, mugs, bowls, cutlery, and cooking equipment. Boots are available to rent starting at €40. We will arrive in Tromso and transfer to Kilpisjarvi in Finland to prepare for our excursion. Our next six days will be spent diving into the immaculate terrain of the Kasivarsi Wilderness Area surrounding Halti and Lapland. Our adventure will feature up to 20 kilometers of skiing a day, possibly more if you are up to the challenge. You will spend evenings at various huts throughout the region, with a wide selection of possible runs and routes. You can drop below the tree line and check out a birch-bounded waterfall, or we can climb Halti Fell and summit the highest point in Finland. Our choices are endless. The terrain includes canyons and tree skiing, with steep lines and wide runs. We can shift our focus from day-to-day and adjust our objectives, moving from aesthetics to heart-pumping action. The final evening will be spent back at Kilpisjarvi for a relaxing night to culminate the trip. After breakfast, we will return to Tromso and leave an amazing and unforgettable vacation. We will be meeting in Tromso. Contact me upon booking for further instruction regarding our meeting location. You will be staying in hotels, cabins, and wilderness huts for the duration of your trip.